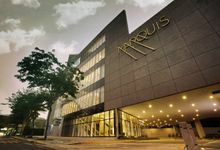 Marquis is the newest luxurious event venue in Bonifacio Global City. 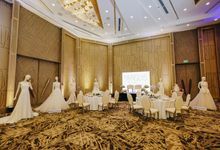 Its Grand Ballroom is over 1,200 square meters in area and can be divided into 3 smaller ballrooms and as much as 7 salons. 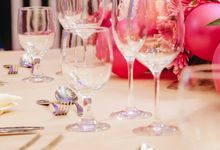 Marquis' event spaces can accommodate from an intimate setup of 20 guests up to a grand banquet setup of 1,000 guests. 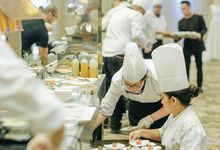 The first of its kind in the Metro that allows for fairly priced banquet rates, an excellent alternative to a pricey packages of a hotel but with the same five-star quality service and setting. Marquis prides itself with a flexible venue layout with. 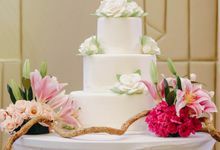 The Marquis Grand Ballroom is a perfect location for all social and corporate events. 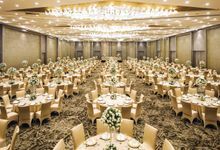 The Sarus Grand Ballroom has an Area size of 1,290.37 sqm and has a setup capacity of 1,000 pax for Banquet and 1,500 pax for Cocktail. 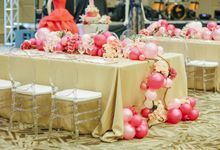 | Sarus Ballroom A has an Area size of 302.44 sqm and has a setup capacity of 250 pax for Banquet, 360 pax for Cocktail. 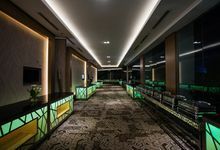 | Sarus Ballroom B has an Area size of 675.64 sqm and has a setup capacity of 500 pax for Banquet, 800 pax for Cocktail. | Sarus Ballroom C has an Area size of 266.49 sqm and has a setup capacity of 220 pax for Banquet, 310 for Cocktail. | Red Crown has an Area size of 68.22 sqm and has a setup capacity of 50 pax for Banquet 80 for Cocktail. | Black Crown has an Area size of 66.17 sqm and has a setup capacity of 50 pax for Banquet 80 for Cocktail. 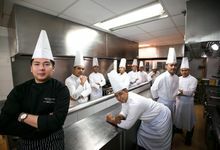 | Sand Hill has an Area size of 95.51 sqm and has a setup capacity of 70 pax for Banquet and 113 for Cocktail. | Grey Crown has an Area size of 70.15 sqm and has a setup capacity of 50 pax for Banquet and 80 for Cocktail. 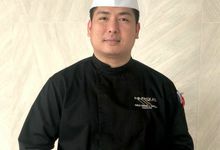 | Demoiselle has an Area size of 147.68 sqm and has a setup capacity of 120 pax for Banquet and 170 for Cocktail. | Wattle has an Area size of 117.90 sqm and has a setup capacity of 90 pax for Banquet and 130 for Cocktail. | Ceiling height is 7 meters across all functions. 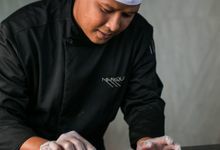 No Marquis has its exclusive Culinary Team but also offers outside catering within the Metro. Marquis is the premier events venue for grand experiences. 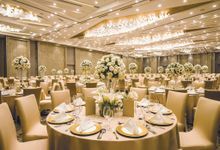 Its Grand Ballroom is over 1,200 square meters in area and can be divided into 3 smaller ballrooms and as much as 7 salons. 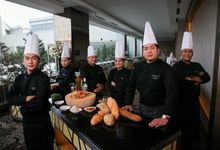 Marquis' event spaces can accommodate from an intimate setup of 20 guests up to a grand banquet setup of 1,000 guests.